SA4640 SPOQ ARMOR O-ring Spoq Armor molded into O-ring cross section (white). Anti-plasma grade Superior in purity, plasma resistance, and low adhesion to quartz. Used in dry etching/ashing equipment and CVD equipment for semiconductor and LCD equipment. SEALP Seal Paste Light brown paste, containing nondrying oil adhesive, inorganic filler, and small quantity of solvent compounded Sealing additive for gasket for joints, handling water, air, gasoline, kerosene, lubricating oil, natural gas, LPG, refrigerant, hydrogen sulfide, hydrocarbons, etc. Improved sealing performance and detachability. SF300 WHITEHYPER Like GF300, this product offers excellent heat-resisting properties, chemical resistance, handling, and flexibility. 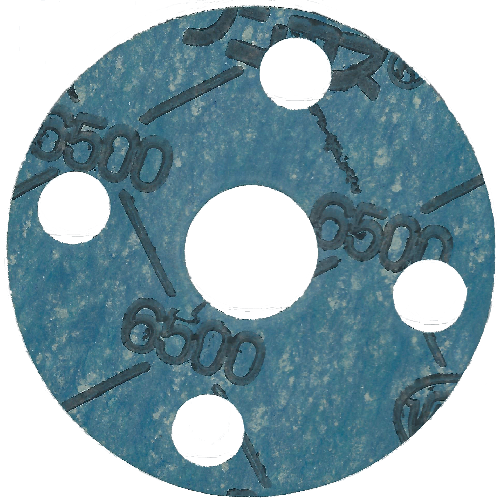 This white sheet gasket contains no black material, so unlike traditional products it maintains its white color and performance, and is suited for locations where black substances should not enter liquids. It also curbs concerns over electrical corrosion of flange surfaces for products that include graphite. Suitable for high temperature use with water, sea water, hot water, steam, air, acid, weak alkali, aqueous salt solution, oil, alcohol, aliphatic solvent and vapors, gases of all types, etc.